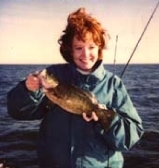 There are so many great reasons to book a charter for your fishing excursions on Lake Erie. A person can charter several times a year for a fraction of the cost of maintaining and outfitting a big water boat! Let us maintain the boat, get the best equipment and provide you with the experience you trust to take you out on the waters of Lake Erie. Fishing with an experienced captain puts you where the fish are most likely to bite with the most sophisticated equipment and the maximum of safety. No worries, just sit back, relax and catch those fish. Your charter captain will do the best job at making sure you enjoy every minute of your sportfishing trip in comfort, safety and fun. * Book your trip as far in advance as possible. Weekends & holidays fill fast, so plan as early as you can to get the best choice of dates available. Accommodations can be a problem with late bookings. Ask your SCBA charter captain to help suggest lodging, attractions, restaurants, locations and activities to make your planning your trip as easy as possible. We want you to have a great time and will help any way we can to make your whole trip Ohio's north coast pleasurable and memorable. 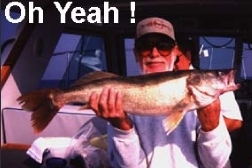 * Each Lake Erie region for fishing trips has its "prime time" for catching each species of fish. Booking as close to prime time as possible will provide you the best opportunity to get near-limit or limit catches of fish. Ask an SCBA charter captain the best times and locations for the fish you'd like to catch. * The best way to plan your trip and be prepared is to talk to your captain to make sure he is providing everything you need. * Our captains offer both drift fishing & trolling. Talk to the captain about your desires to find the best match for the needs and skill level of you and your fishing companions.